Yay talking about happy things today – Penny’s full moon! The truth is, I wasn’t planning on having a full moon. I didn’t plan one for Fighter either but my mother in law insisted cos she said she must be fair to all her grandkids and threw one for Fighter back in Penang. For Penny I also didn’t really consider having one but then Betjeman and Barton said they wanted to do one for Penny! 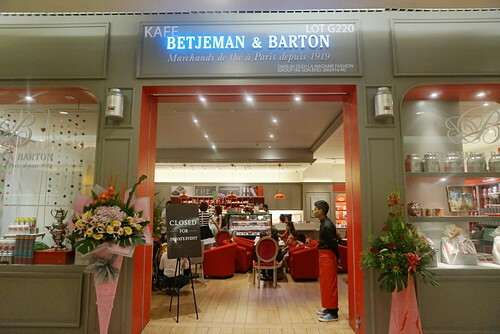 Betjeman and Barton is a new tea place in KL! They are tea merchants from Paris and have been around since 1919. Arrived at the store and everything was ready for us! Ignore Fat Her Ooi wtf. 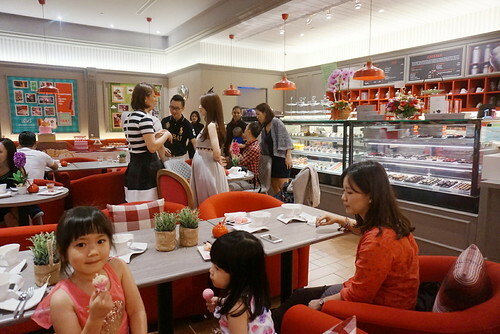 Love their pretty red decor scheme! 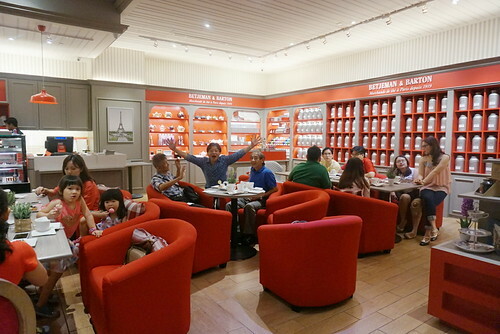 The walls are lined with shelves of tea cannisters – crazy amount of different types of teas from around the world! The other side. There are glass cases of special handmade desserts and chocolates by Betjeman and Barton. 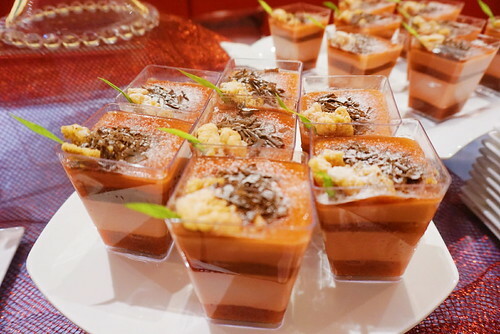 Some of the desserts are even tea-infused, keeping to their commitment to the beverage. 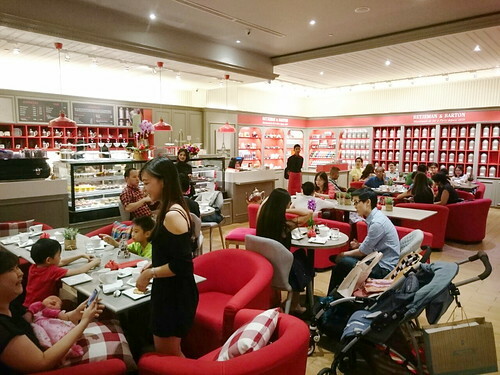 Okay so at first I thought it would be a small low key affair – just an afternoon tea with our closest friends and family and everyone would just gather to put up legs and chit chat wtf. But then La Memoria stepped up and offered to do the decor for party! 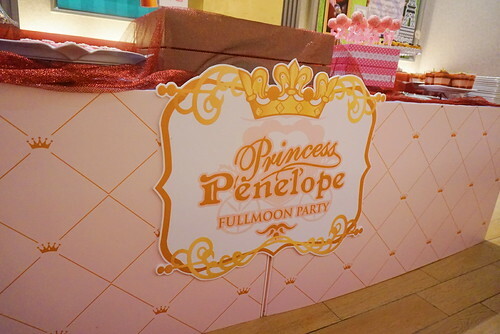 :O They are a pretty well known wedding and event decorating company so suddenly the party became super glam omg sorry Fighter Penny win this time hahahaha. 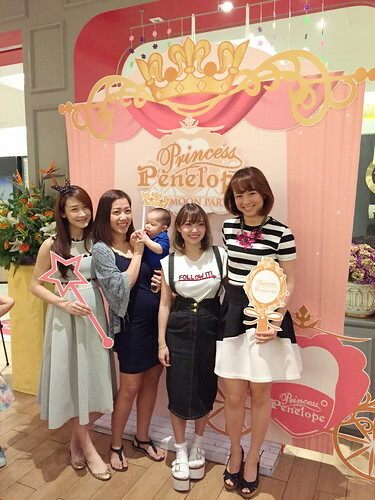 I told them La Memoria I wanted a pink and princessy theme… obviously!! I’ve been dying for an excuse to throw this kinda themed party my whole life wtf. So they came through with a gorgeous pink and gold scheme. This was the photo backdrop! 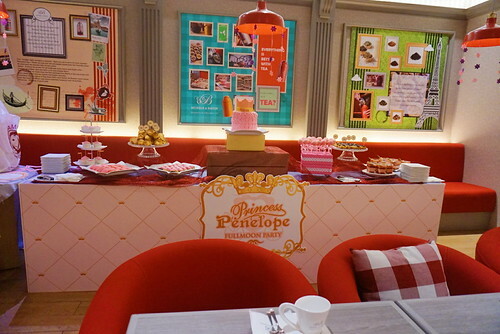 Actually the style reminds me of Sofia the First hahaha. And hehehe Fatty and Princess Penny are super in love with each other here wtf. Also excuse how I look wtf. Full moons should be held at least three months later to give the momma time to look presentable again hmph wtf. The decor at the buffet table! And the buffet table itself. All catering done inhouse by Betjeman and Barton yo! 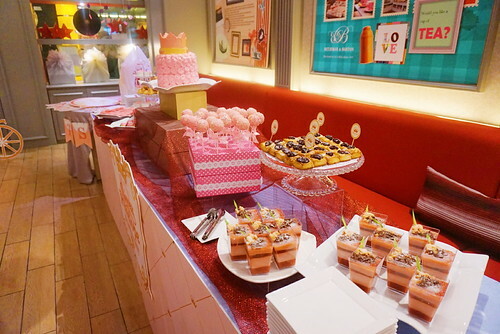 All desserts in pink too hehehe. 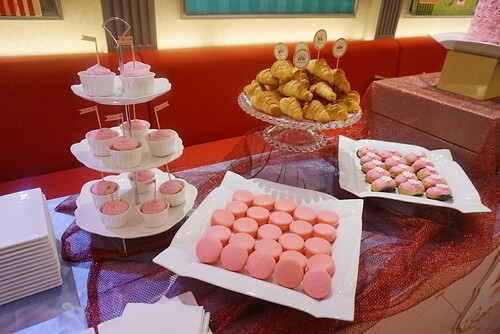 Got cupcakes, macarons, croissants and pink pastries I don’t know hahaha. They even had a cake for us!!! 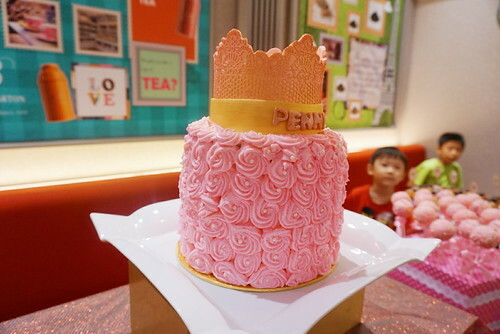 Unlike the trend nowadays for mock fondant cakes, this gorgeous princess cake was entirely edible. 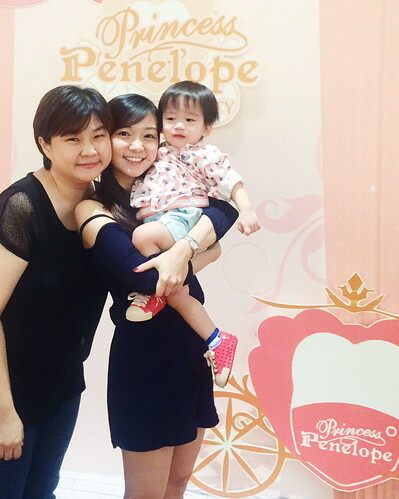 With my confinement auntie! Penny came suitably dressed in the theme btw. Actually she was super pink and floral la hahaha more pics later. Party in full swing. 😀 Can tell a baby’s party by the strollers hahaha. Another pic of the four of us. 🙂 We super awkward standing like this cos didn’t wanna block the cake and decor lolol. One more of the pretty buffet table. With Jojo and Lay See! 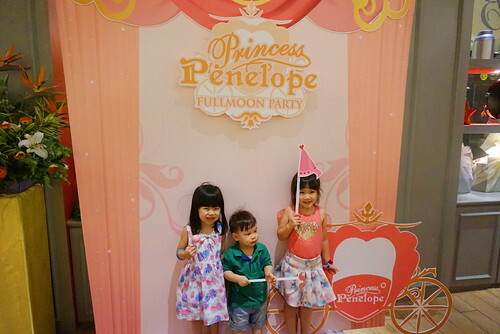 La Memoria also provided princessy photo props which the kids loved hehehe. The adults mostly forgot to use dammit wtf. The Oois! Fighter is super attached to Mummy Ooi so Fat Her staked his claim on Penny already hahahaha. Joanne (my ex boss) and Jammie! Fighter playing the good host and letting people take photos with him wtf. With the girls Gene, Reva and Wendy. 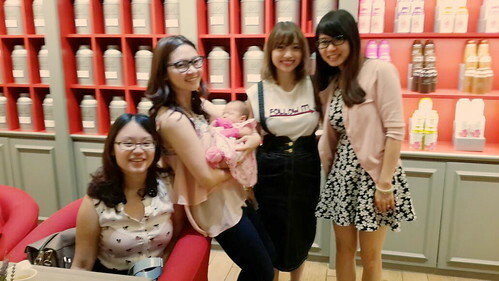 Another set of girls – all mommies hehehe. 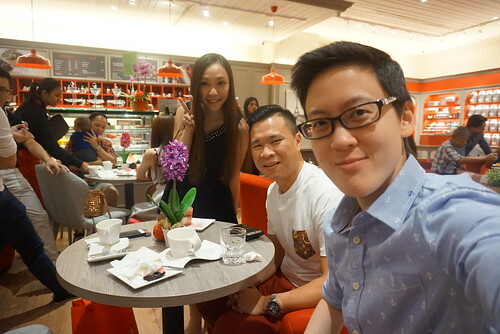 Juvyn and Li Anne (high school friends whom I recently got back in touch with yayy) and Lay See. 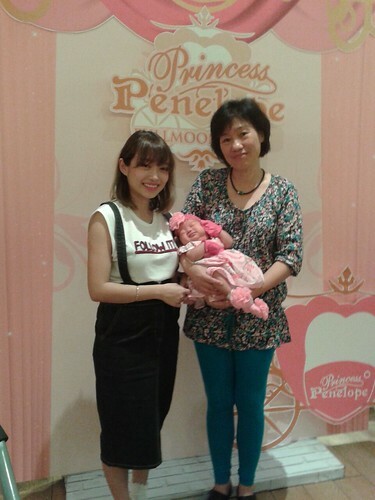 And Li Anne’s baby Shane! Look at this Juvyn pregnant but don’t look pregnant one good genes or what! Yew Kuan disturbing Fighter from the looks of it hahahaha. 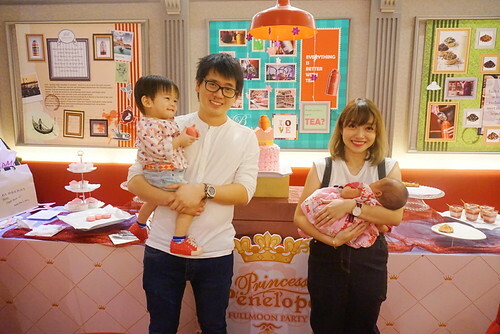 Janice, Desmond and Fayth. 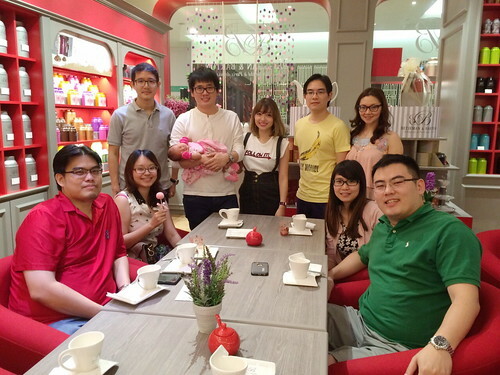 Industry people… and my sister in law lol. 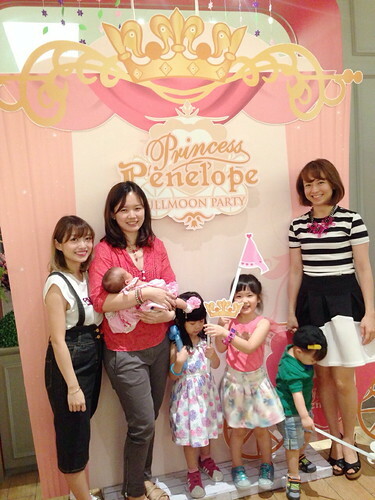 Haha super cute la this picture! Lexi, Javier and Kay playing around with the props. 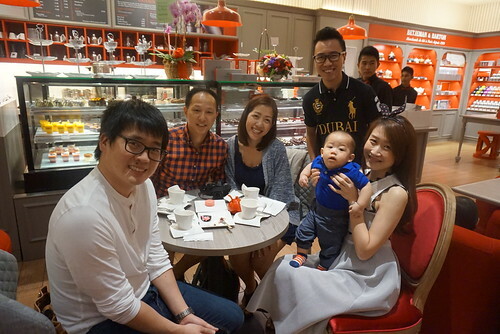 Fatty with Terence & Li Anne, Janson & Juvyn and roly poly baby Shane. And where was the star of the day? Very busy. 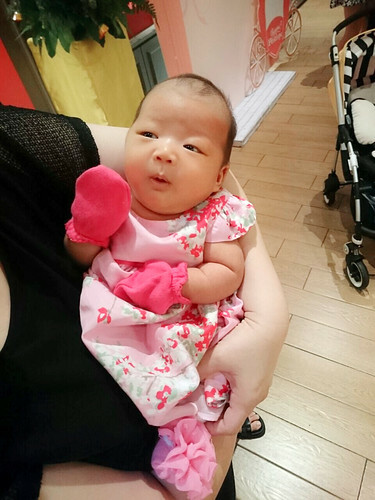 She had a packed schedule of naps and milk drinking. Hahahaha. Actually as I write this she’s nearly eight weeks old now zomg. And laying on my lap, fast asleep lolol. Thank you again to our sponsors Betjeman and Barton, and La Memoria! 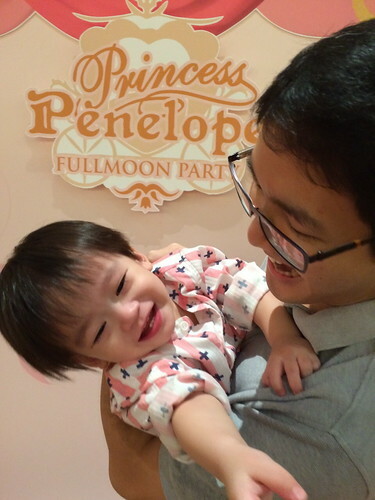 They did such a good job with Penny’s full moon that now I don’t know what I can do for her first birthday hahahaha. we go way back babe.. all the way to primary school! can’t believe we are mummies now! so love the backdrop n decorations! so princessy! mad love!